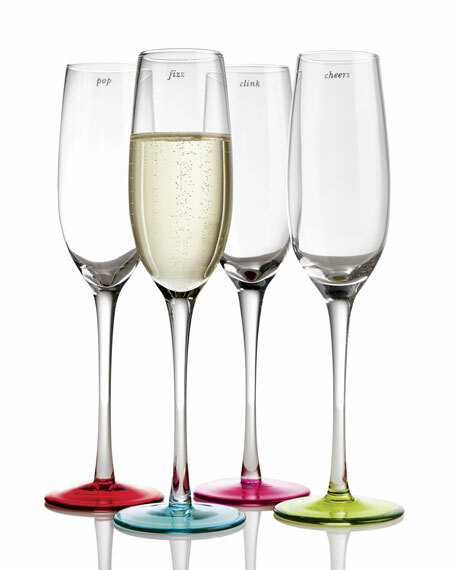 Four flutes with hand-painted bases add a touch of merriment to your celebration: each is etched with a different celebratory word. From kate spade new york. 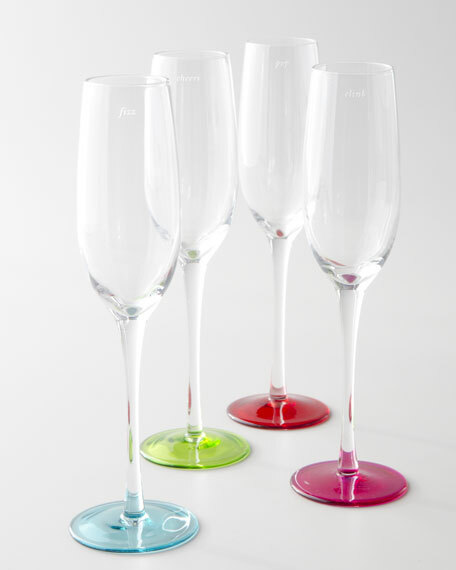 Pink flute: "Clink"; Blue flute: "Fizz"; Green flute: "Cheers"; and Red-Orange flute: "Pop." Each flute holds 6 ounces.